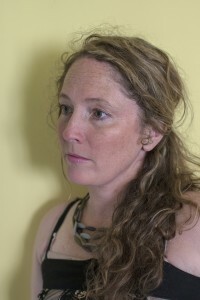 clare e. potter is a writer, performer and educator from Cefn Fforest. She spent ten years in the Deep South where she did an MA in Afro-Caribbean literature. She teaches creative writing at Cardiff University and won the John Tripp Award for Spoken Poetry. Her work as been published in Planet, New Welsh Review, Wales Arts Review, Mslexia, Cahoots Magazine, Cambrensis, The Seminary Ridge Review Journal and various anthologies. Her first poetry collection is spilling histories. Last year, she received a bursary from Literature Wales and has written a subsequent collection, A Certain Darkness. She has written for the Welsh National Opera in community theatre and singing projects, and has received various commissions to write poetry in collaboration with artists: a poem for the new Keir Hardie Health Park, and street poetry in the pavements of Pontypridd, for example. She has read at the Hay Festival and at the Smithsonian Folk-Life Festival. She is currently writing two librettos and a film script, working on a jazz/poetry collaboration and about to begin a collection of poetry in Welsh.